So full disclosure: I didn’t actually go to fashion week, but since when has a lack of experience ever deterred someone from taking on a role they were unqualified for? This is America, dammit. Let me direct your attention to the President. 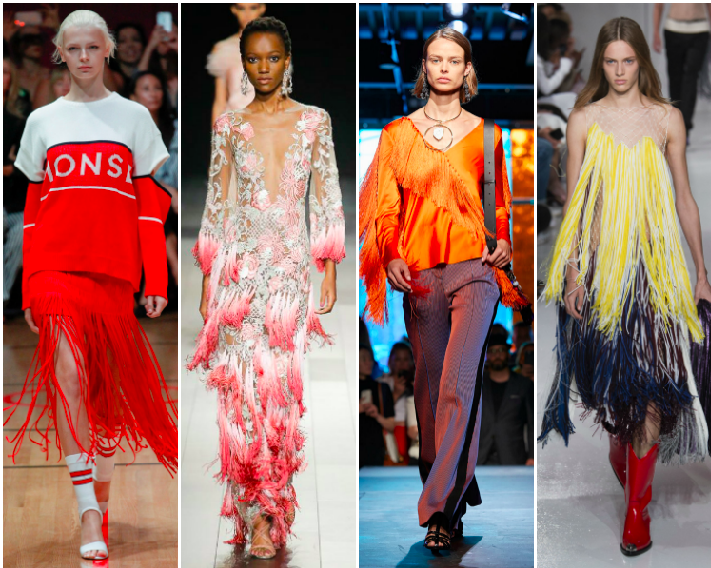 In lieu of more analytical commentary on NYFW, I’ve opted to do a brief roundup of some of the biggest trends permeating the SS18 runways, as well as a list of possible occasions for which to don them. I do what I can for the people. I have been loving the monochromatic white looks that I’ve seen…the look is super clean and crisp! I am really loving those all white looks! 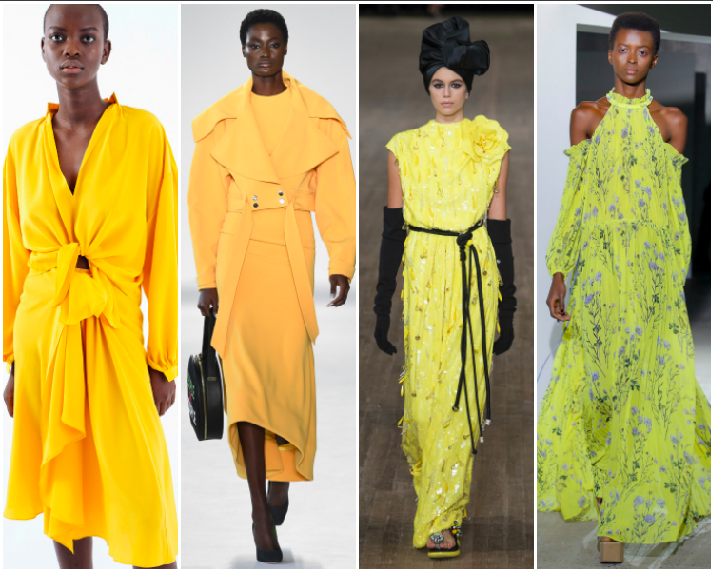 I love yellow but that’s a tad too much yellow all at once LOL. Haha this was so entertaining to read and I loved how you covered the trends! The first paragraph has me in stitches! 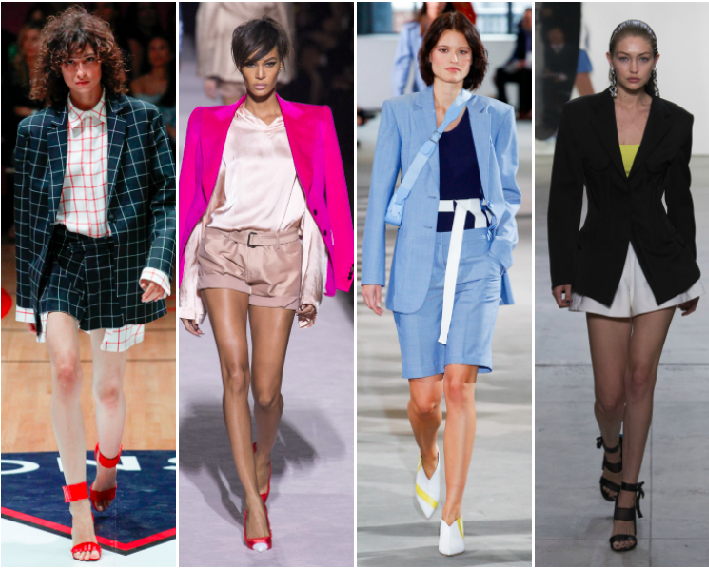 I feel confident that I could not pull off any of these trends! Lmao @ “participating in a Big Bird reenactment event”. Another hysterically real post and I love it! Love this post and all of these trends. Great post! Crackin up at this post, as usual. Some of these trends are a little too much haha. You never fail to make me laugh. 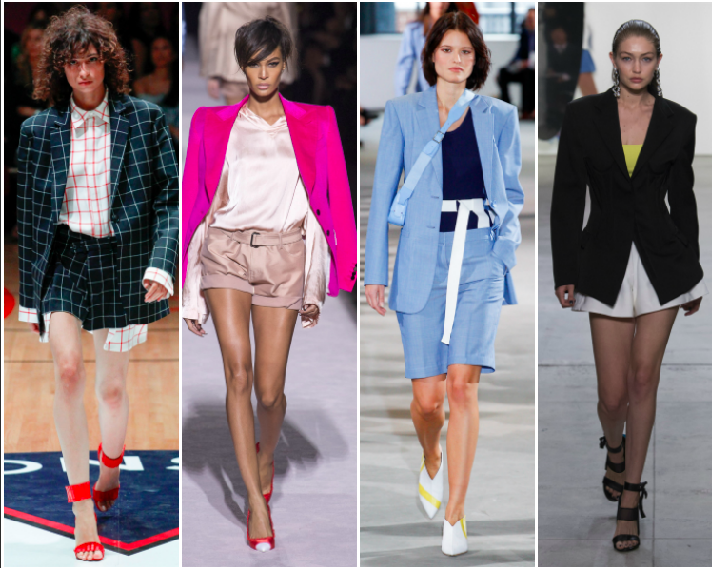 I am SO wearing a short suit AND auditioning to be part of that Heathers remake gosh darnit! 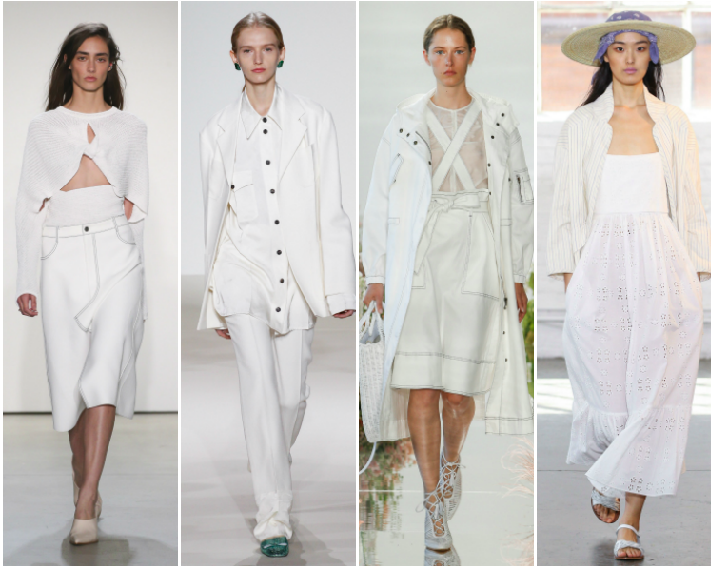 Love the head to toe white trend…but not so sure about the bra situation. LOL! Hahaha the ‘good looks for’ sections are hilarious. All of these trends are on point! The yellow everything is my jam! I can definitely get behind all yellow and everything white from head to toe!